Third bedroom. Pull out bed and cot available. 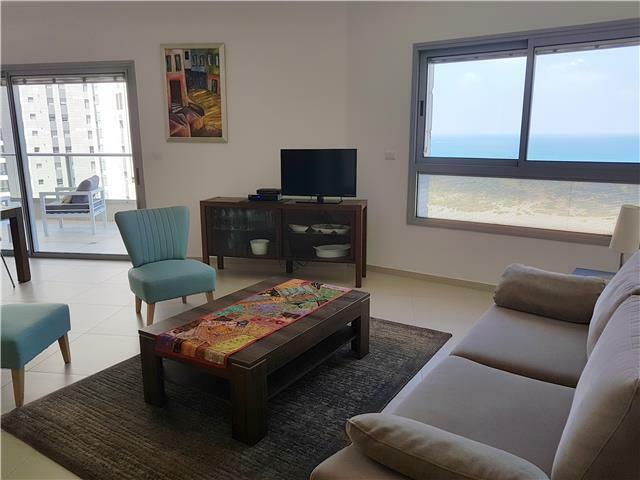 This elegantly decorated, fully air-conditioned 3 bedroom luxury vacation rental apartment with 2 bathrooms is situated on the first floor in Ramat Poleg, Netanya, with great sea views. Sleep 6. 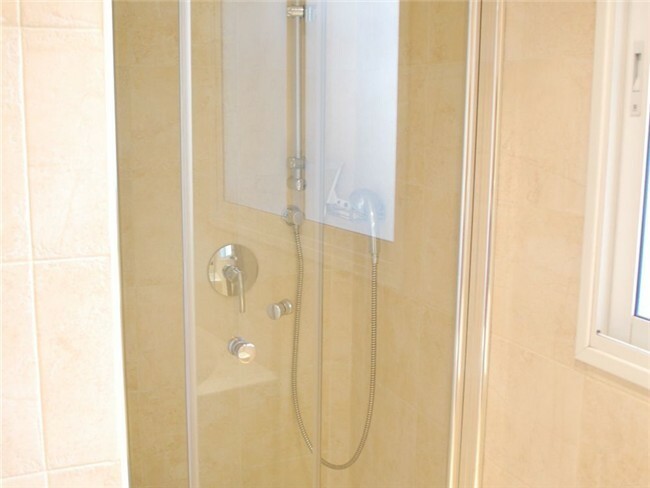 The apartment is beautifully appointed and fitted to a high standard. 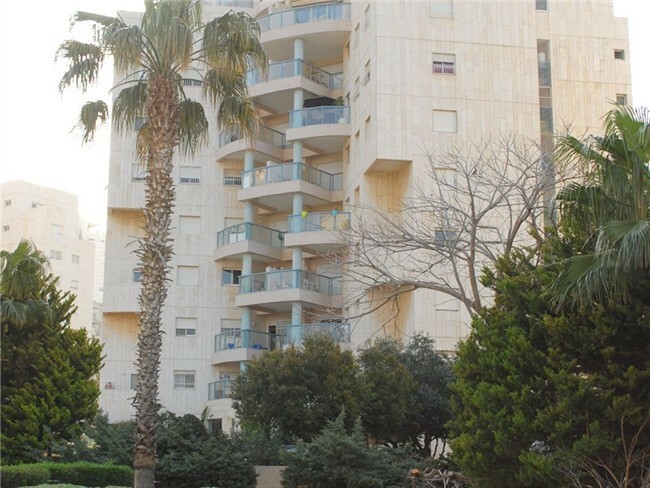 Appliances include refrigerator, dishwasher (milky), washing machine, tumble dryer and iron. 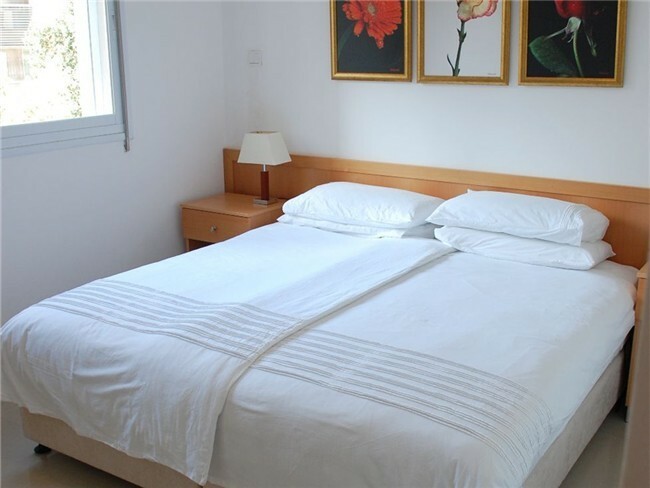 The Master Bedroom with King Bed has an en suite shower room and a walk-in wardrobe. 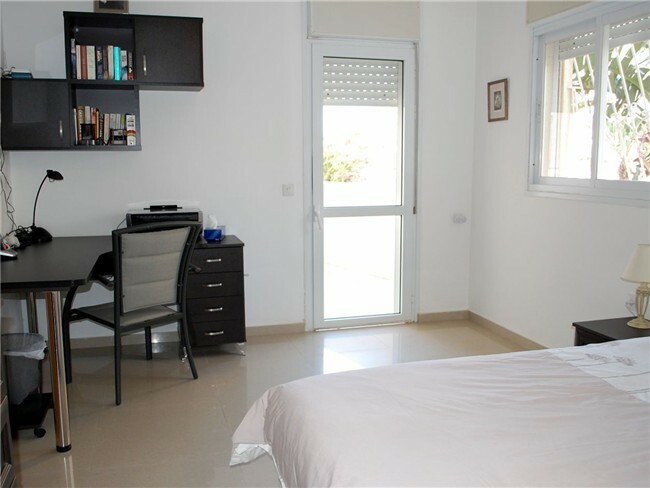 The Second Bedroom/Study has a King bed (but can also be set as twin beds) wardrobe, dresser and desk and private balcony. 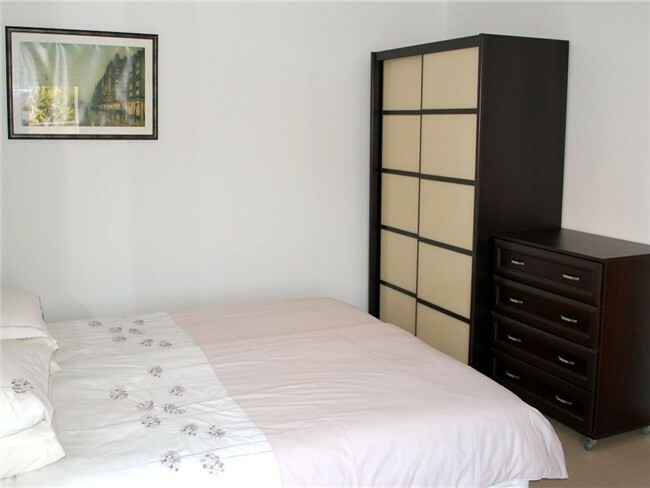 The Third Bedroom has single bed and an additional single pull out bed and dresser. Baby cot, high chair, pram and baby bath chair available on request. All linen and bath towels are provided (beach towels are also provided). 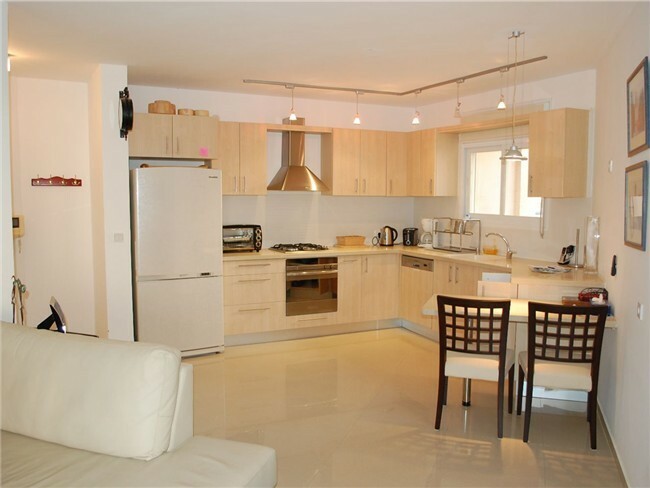 Enjoy the modern, well equipped kosher kitchen with dining area and large, spacious, open plan living area with Satellite TV, DVD player, iPod player and high speed wireless Internet. 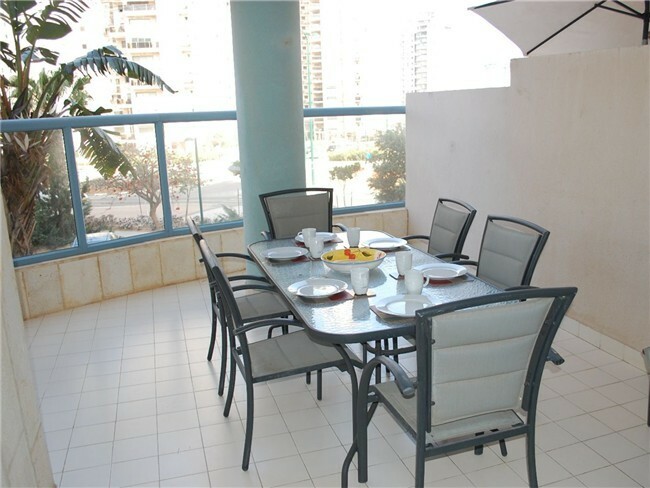 Dining table seats 6 or dine al Fresco on the large balcony with a view of the Mediterranean Sea and the neighbourhood. There is parking for a car in the residents' car park and ample parking on the street. Please note that smoking is not allowed in the apartment. 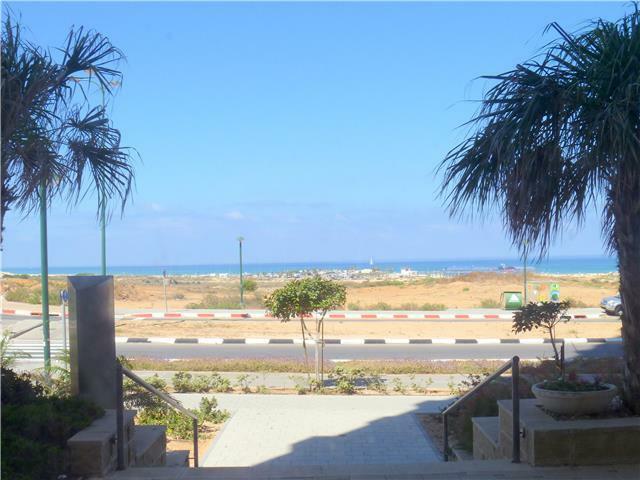 It is a short walk from Poleg's sandy beach, local Supermarket, Cafes, bank, Tennis Centre and Ir Yamin's Shopping mall. The local Synagogue is a 10 minute walk from the apartment. An English speaking representative will meet you on arrival to answer all questions. 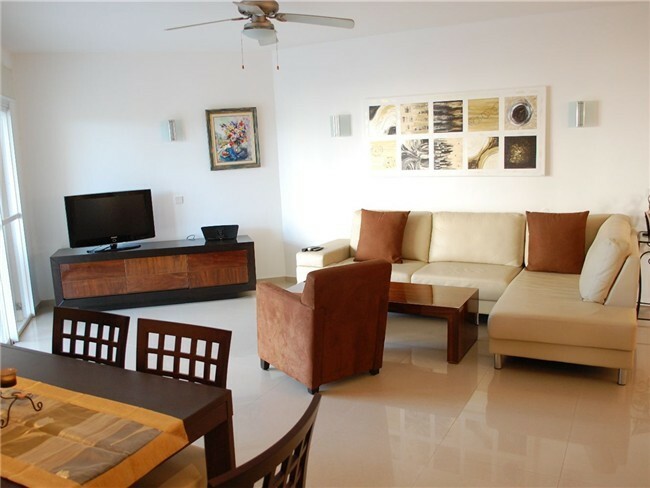 A Security Deposit of US$700 is necessary to secure your booking. 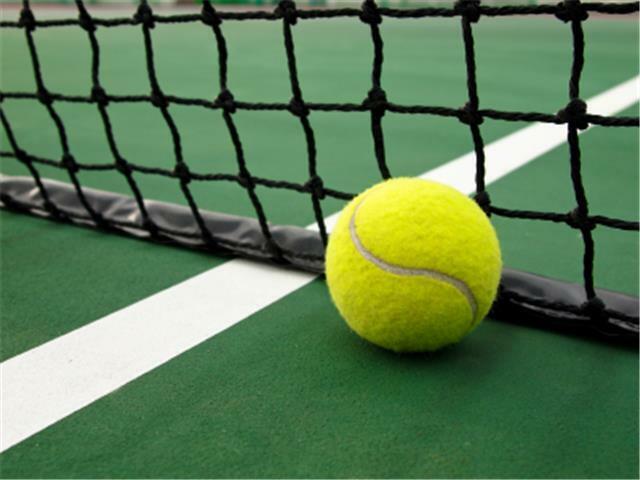 Payment to be made by transfer to owners bank account. The booking is confirmed after we have received your signed rental agreement and the deposit. The fee for cleaning at the end of the rental period is 500 ILS (which is not included in the rental price). Electricity is charged according to the meter reading on arrival and departure. 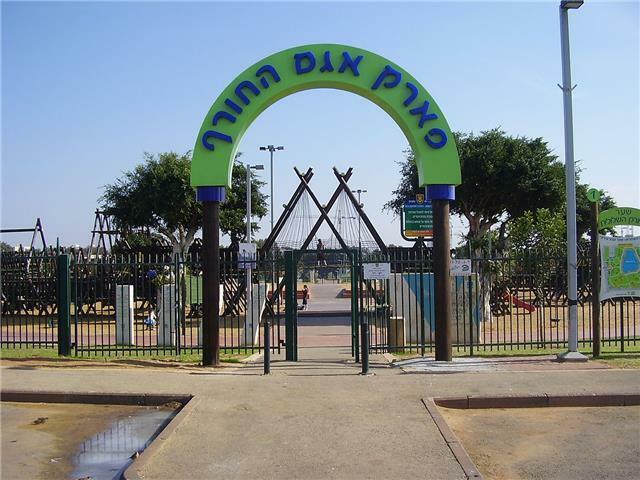 Located at the heart of Israel, between the Iris Flower nature reserve and Poleg nature reserve and overlooking the Mediterranean shores, Ramat Poleg, South Netanya is only a short drive from two of the major traffic routes in Israel: road no. 2 (the coastal highway) and road no. 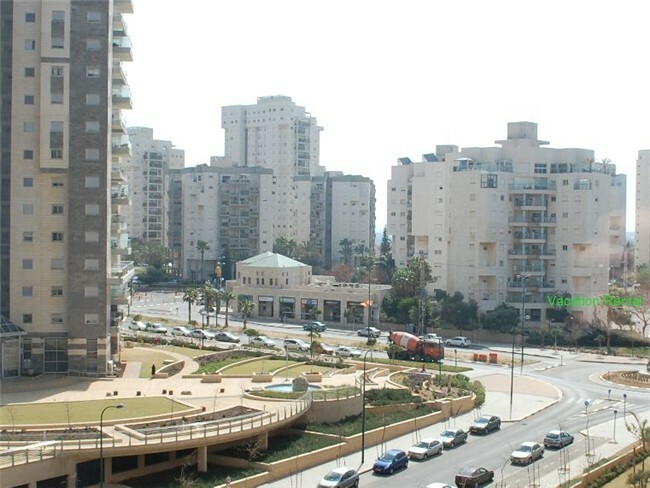 6 (toll highway), positioning the apartment only 10 minutes away from Herzliya, 20 minutes from Tel-Aviv and 40 minutes from Haifa. 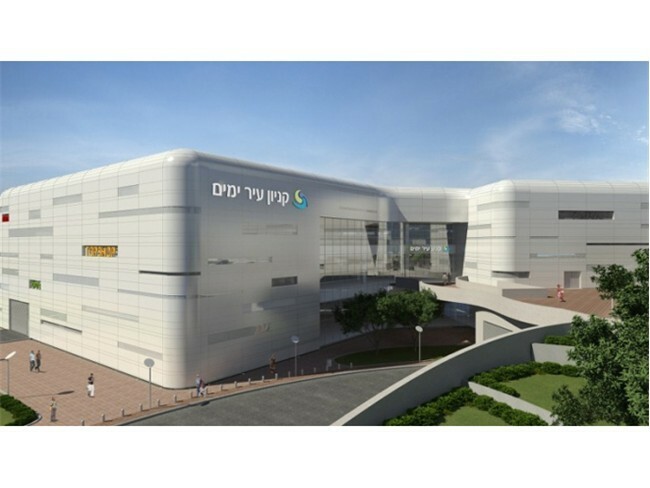 Those who prefer public transportation have comfortable access to Beit Yehoshua train station, located nearby and to buses. 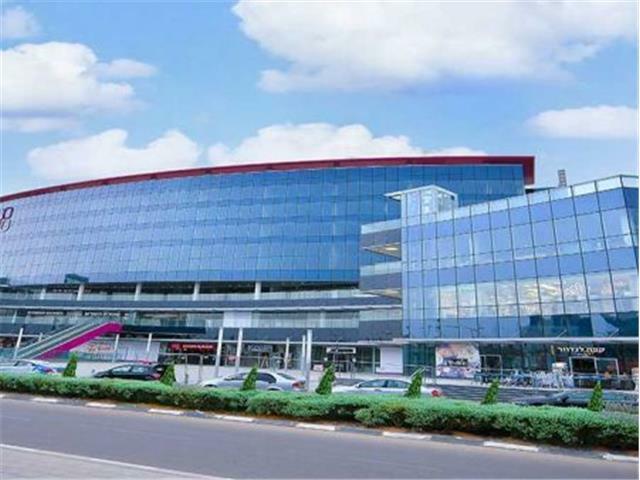 Angels Touch - Professional Massage Therapy and Reflexology	 Salon And Spa 979 ft.
SOHO Centre	 Shopping Center 1286 ft.
Ir Yamim Mall	 Shopping Center 1537 ft.
Tennis Center - Ir Yamim	 Tennis Court 2325 ft.
Gokarting Poleg	 Recreation 5170 ft.
Nitzba (formerly Big) Center, Poleg	 Shopping Center 5267 ft.
Winter Park Activity Playground	 Park And Recreation Area 1.08 mi. The International Jewish Sports Hall of Fame, Wingate Institute	 Museum 1.09 mi. 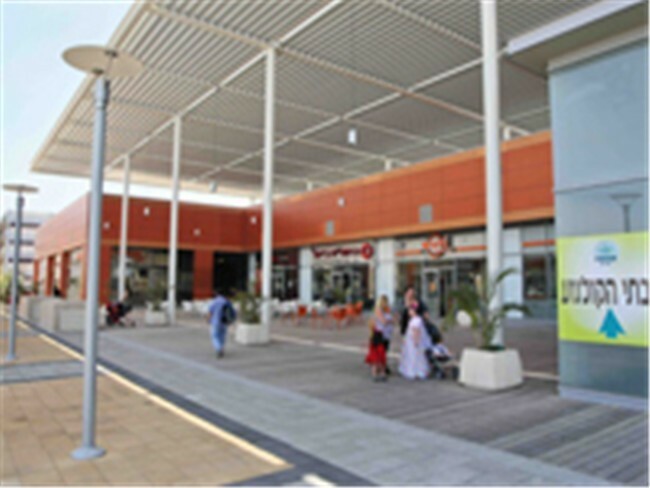 Y Center (formerly Alexandra Yachin Center)	 Shopping Center 1.14 mi. 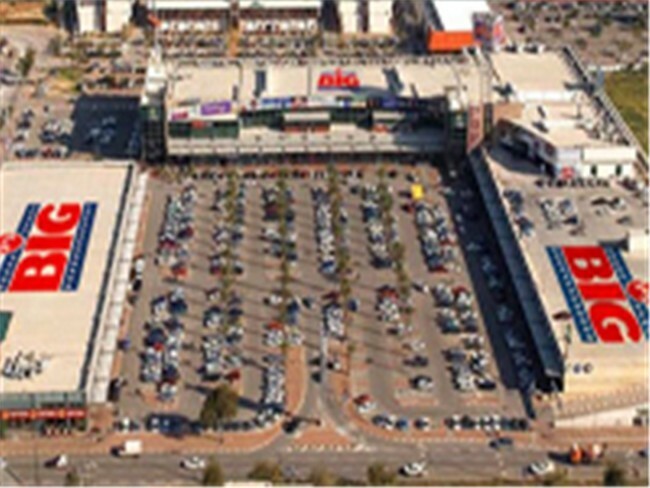 Cinema City Complex All Seasons Attraction 2.46 mi. the apartment offered a comfortable home for a week for my son & his family as well as my husband & me. The space wa lovely. We walked to the beach multiple times. The neighborhood was very safe & convenient. My little grandsons enjoyed playing on the large balcony. Beautiful space! 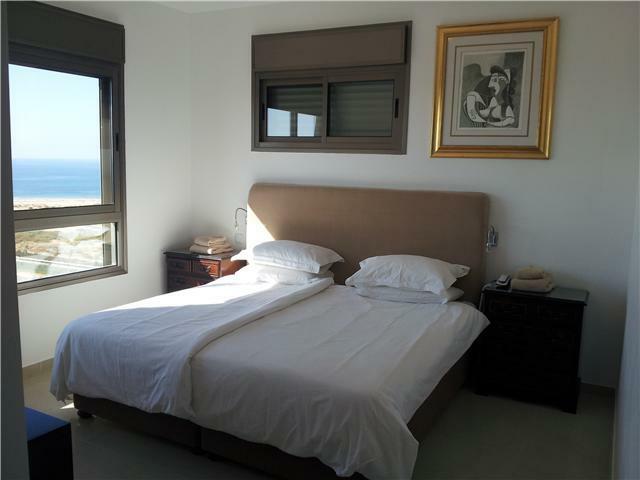 We were very happy to read that you had enjoyed staying at the "Elegant 3 Bedroom Apartment, Ramat Poleg, Netanya - MB01K". Our goal is the comfort and enjoyment of our guests and it is a great pleasure to receive feedback to let us know that we have succeeded. Thank you for a lovely review, we look forward to see you again soon. Das Apartment ist mit allem ausgestattet, was man fr einen Urlaub braucht. Es ist sauber und unbedingt weiter zu empfehlen. Einkaufsmglichkeiten und Restaurants in der Nhe sind vorhanden. Der Strand ist per Fuss problemlos zu erreichen. Der Service war hervorragend. Am Anreisetag waren Milch und Wasser im Khlschrank vorhanden. Die Internet-Anbindung per WLAN war ausgezeichnet. Das Umfeld des Hauses ist sehr modern und sauber. Thank you for writing a review of your stay. We appreciate it. 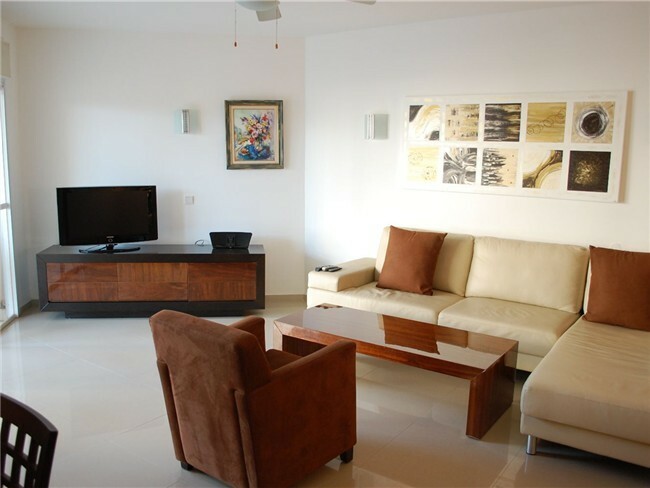 We are happy that you found the apartment to be clean and equipped with everything you needed for your holiday and that you were able to take advantage of the great location. We look forward to hosting you again. Translation from German "The apartment is equipped with everything you need for a holiday. It is clean and absolutely recommendable. Shopping and restaurants nearby are available. The beach is easily accessible by foot. The service was excellent. On the arrival of milk and water were available in the fridge. The Internet connection via Wi-Fi was excellent. 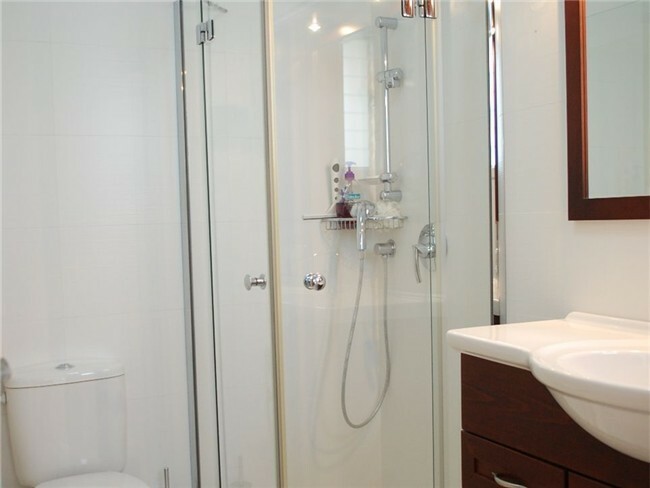 The environment of the house is very modern and clean." 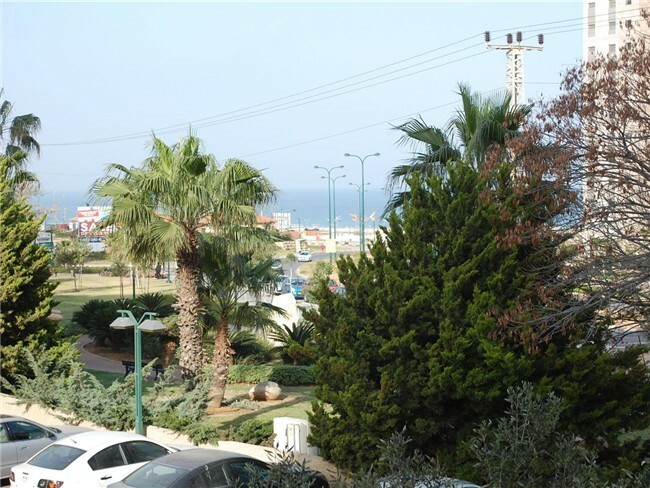 The apartment is situated 10 mins from beach but you can see the sea from the balcony. There is a lovely new Canyon, shopping centre with supermarket 2 blocks away. The apartment was extremely comfortable and clean. Dishwasher, washing machine and dryer. Kosher kitchen. Thank you for taking the time to review your stay. We are so glad that you enjoyed your time at this modern apartment and were able to take advantage of the great location with its proximity to the mall and beach. We hope to see you all again very soon. 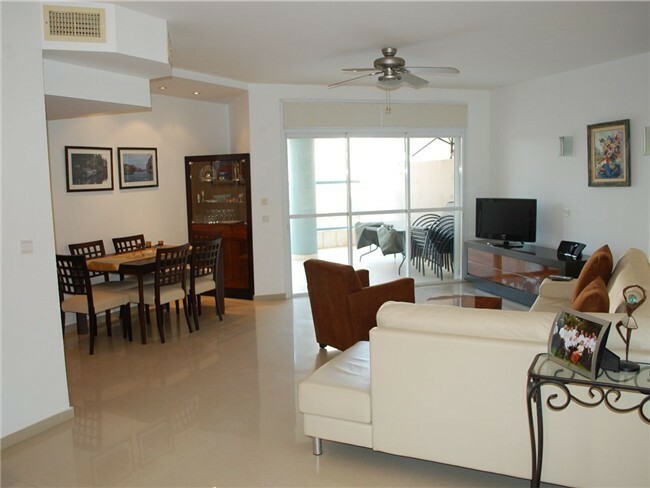 This apartment with lovely balcony has a lovely feel about it.It is in a quiet area and near to the beach.The bedrooms are modern and spacious and the kitchen is well equipped.The main bathroom has bath and shower and their is another shower room off of the master bedroom.We encountered no problems during our stay.We would not hesitate to recommend this apartment and cannot wait to stay there again. Thank you for your review. We are so glad that you enjoyed your stay and are looking forward to your next stay. 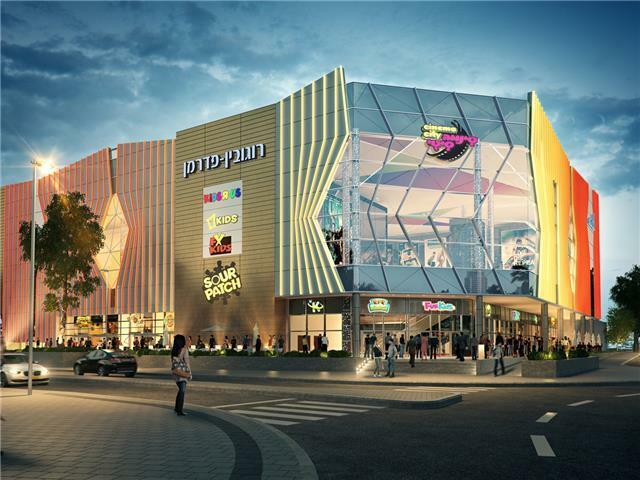 Since your last visit Ir Yamim has a large new shopping mall with many restaurants and a supermarket which will enhance your next visit. 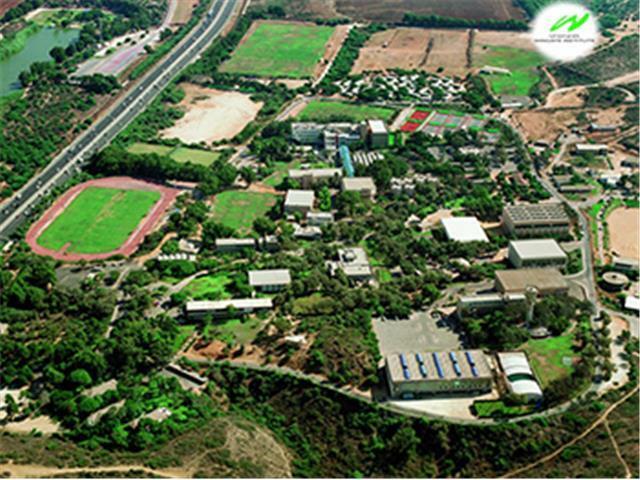 Hermoso departamento. Todo de maravilla nos cumplieron absolutamente en todo, impecable. 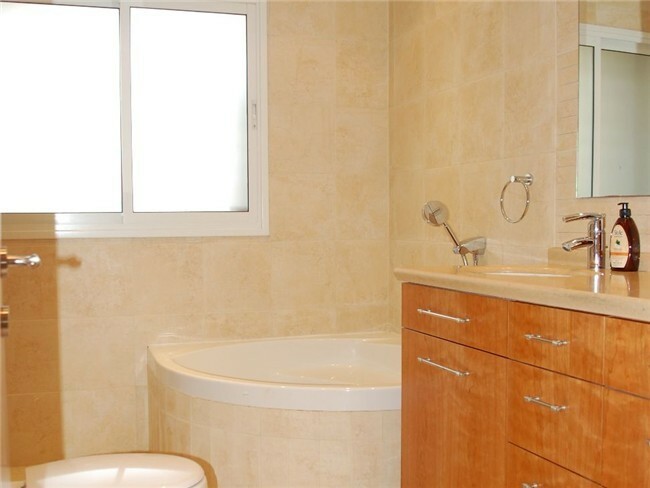 We are very happy that you enjoyed your time in Israel with your family and that the apartment was everything that you needed. 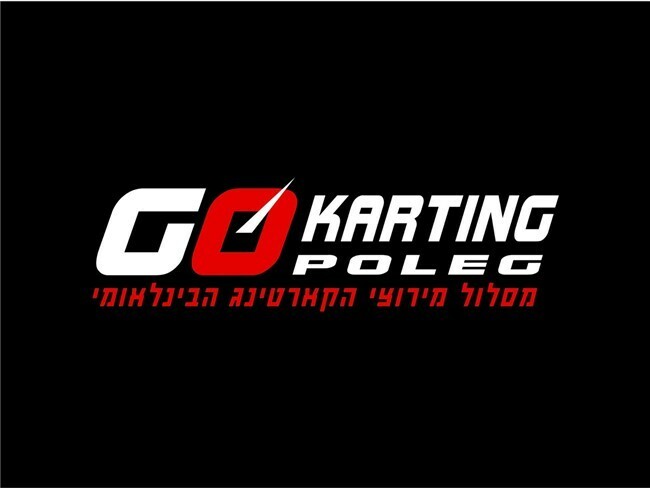 We look forward to seeing you again soon in Netanya.